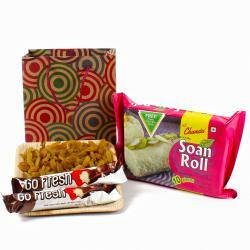 Product Consists : Badam Tacos and Kaju Katli Sweet (Weight: 500 gms) in a Box. 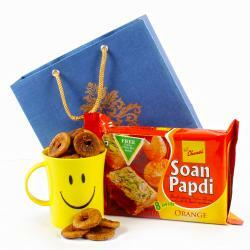 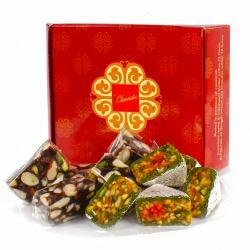 Send your brother blessings and good Wishes on the occasion of Bhai Dooj with this awesome sweet gift hamper. 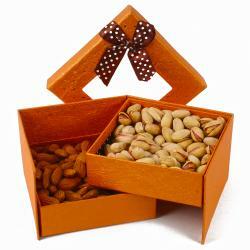 The gift hamper comes with sweet like Kaju katli and Badam Tacos, it is the most famous sweet consumed as a cashew delicacy in India to delight your loveable brother with a rich and divine taste. 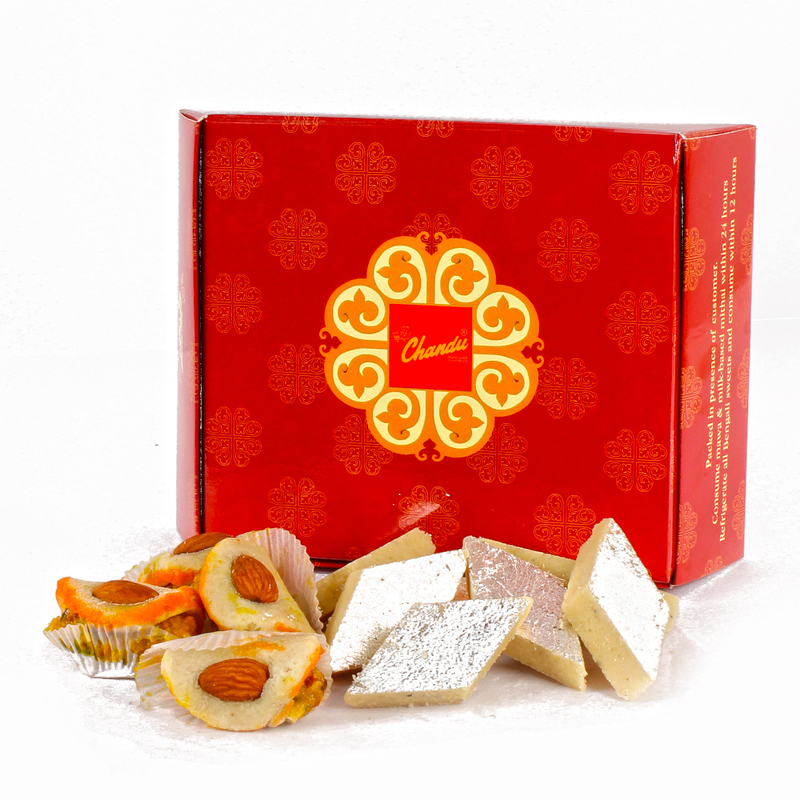 To let you perform all the rituals of Bhai Dooj in an organized way the hamper also has a Badam Tacos Sweet good health and prosperity.Product Consists : Badam Tacos and Kaju Katli Sweet (Weight: 500 gms) in a Box.